Afro-Arubans or Arubans of African descent are Arubans whose ancestry lies within the continent of Africa, most notably West Africa. Most of Arubans are mixed of Amerindian (mainly Arawak), white and black people. 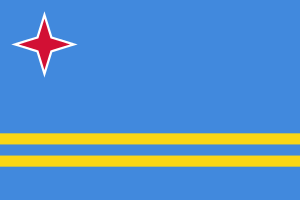 Afro-Arubans are a minority ethnic group in Aruba, accounting for less 20% of the country's population. They speak Papiamento, an Afro-Portuguese dialect spoken in the ABC islands. The language dates back 300 years and is based on African linguistic structures combined with vocabulary from Portuguese, Dutch, and Spanish. ↑ "Aruba - History and Heritage". Smithsonian Institution. Retrieved 2013-06-20.